pastors and principals for the 2017-18 school year. toward a Renaissance in Catholic Education. Please continue to pray for all of our parishes and schools! 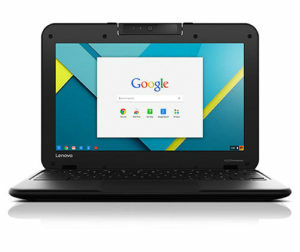 Later this month each of our schools will receive their shipment of a classroom set of 30 Chromebooks and a charging cart thanks to the generous $100K Beyond Sunday Academic Capacity Enhancement Grant received by the Federation of Catholic Schools. Teachers have already started learning how Google tools can be used to enhance student learning. 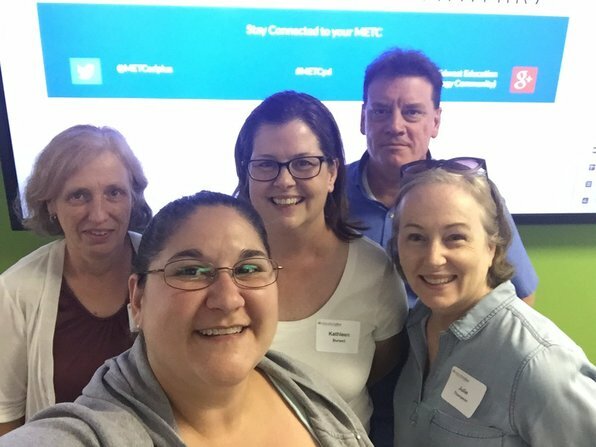 Several attended Google Mania Boot Camp in June (see picture below), and more workshops are planned in August to kick off the new school year. Stay tuned to learn how this grant is helping to prepare our north county teachers and students for the future! Summer is sailing by - check out these opportunities for summer learning. Summer Tutoring Options: If your child needs some extra help with academics this summer, several teachers from our Federation schools are available for fee-based private tutoring. If you would like a copy of the contact list for these teachers, please send an e-mail requesting a copy. Archbishop Robert Carlson will be the guest speaker at BTC's next Brewhouse Theology on Tuesday, July 18, 7:00-8:45pm, at Ferguson Brewing Company (418 S. Florissant Rd). The presentation begins at 7:30pm. For more information, contact Jeanne Baer at 314-524-0500, ext. 357. Pallottine Renewal Center Summer Speaker Series: Check out musician and speaker Matt Faley on Wednesday, July 26th - 9am-Noon "I Thirst" $25 includes lunch. Matt Faley will also play a concert the same evening, 7/26 at 7pm. Contact 314-837-7100 for more information. 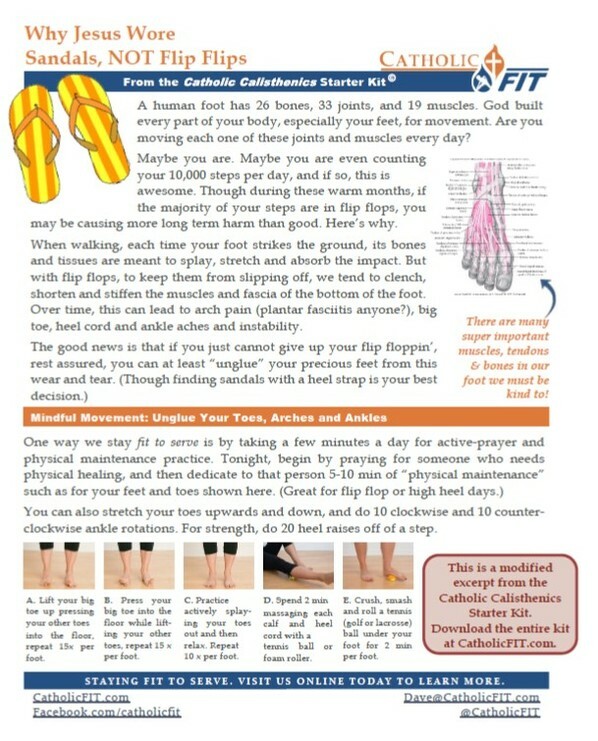 Check out Dynamic Catholic's July newsletter for tips on slowing down and highlights on ways to pray with your kids. Tech Talk Tuesdays - browse this blog by the author/director of The Screenagers Movie - great tips for having conversations with your kids about their digital life. The St. Louis County Library is again offering its Summer Reading Program, as well as free lunch for kids at several north county branches. The City of Florissant's Parks & Recreation Department has many programs for residents and non-residents listed in its 2017 Summer Catalog. The Magic House is hosting its first summer satellite location in North County. 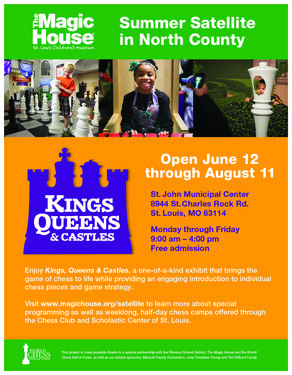 They are partnering with the City of St. John to host the Kings, Queens & Castles chess exhibit at St. John’s Municipal Center throughout the summer. This exhibit will be free for families to attend and it will be open Monday through Friday from 9am to 4pm. Know of some "smart fun" for families this summer in north county? Share it on our Federation of Catholic Schools facebook page! Summer is officially here. Grilling out ... heading to the pool ... baseball ... it's all fun and games until you find yourself living in your flip flops all day long. What?!? Flip flops are sooo comfortable and waayyy convenient. I get it, throwing on your favorite pair to run the kids to baseball practice is no big deal, but you may be unnaturally tightening up the tissues of your feet and toes, leading to a few aches and pains we could all do without. if you do wear them too much, take every opportunity to stretch your toes up and back, massage the bottom of your feet with a tennis, golf or lacrosse ball for 2-3 minutes per foot 1-2x/day, and do active intrinsic muscle work such as foot splays, and pressing your big toe into the floor as you pull your other toes up, and vice versa. CLICK HERE to read more. by Dave Reddy, Creator of CatholicFIT, a Faith & Fitness Program for Students and Families at CatholicFIT.com In the spring semester CatholicFIT is shared with students in 3rd and 6th grades in PE classes at our Federation schools. What leads Millennials to continue Mass attendance? 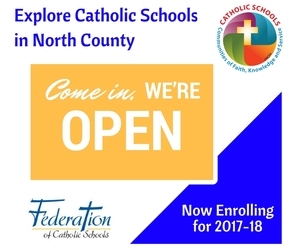 Enrollment for the 2017-18 school year is happening now at each of our Federation Schools. Word of mouth is always our best marketing tool - so please share your experiences with your friends and neighbors and encourage them to explore our Catholic schools in north county as an excellent education option! Know of a young leader in your school, parish or local business who deserves some recognition? Nominate them to be part of this fall's 30 Leaders in their Thirties, sponsored by North County Inc. The Archdiocese of St. Louis Stewardship Office has several upcoming training sessions scheduled. Next Monday, July 17th at 7pm St. Rose Philippine Duchesne Parish in Florissant will host a training session. Looking for faith formation opportunities or a fun night out with friends? Browse the parish bulletins for a wealth of information about events and activities that our parishes and schools are hosting in the coming weeks. You can access each parish's weekly bulletin online through these links. And, here are a few upcoming local community events you can enjoy with your family! Many of our Federation schools and parishes are becoming more active on social media, especially Facebook. Please consider "Liking" these pages on Facebook and sharing their posts when something may be of interest to your network!